Usually an air cat is invisible – except to kids with a primary immunodeficiency like Amanda. Minu is a funny little air cat who stays with Amanda every minute of her life, even when she is in hospital, to show her that she is something special. 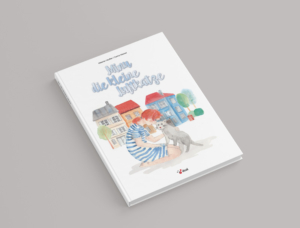 The book was written by Melanie Häußler, patient and dsai-member, as a means to give some support and comfort to kids with PIDs.